Manchester United take on Catalonian behemoths Barcelona under the lights at Old Trafford tonight, in what promises to be a white-knuckle continental Champions League Quarter Final 1st leg tussle. To have any chance of progressing past Barca into the competition’s Semi Finals, United must find a way to limit the impact of the incomparable Lionel Messi, though the razer from Rosario has built a career on demolishing dreams. The Argentine artiste doesn’t tend to paint by numbers, yet Messi’s abstract genius is reflected in a long list of startling Champions League statistics. The 31-year old is the second highest top scorer in Champions League history with 108 goals, and Messi ranks 3rd in the all-time assists stakes with 29. Remarkably, Messi has scored 22 Champions League goals in 30 appearances against English teams – more than any other player in the history of the competition. However, ahead of tonight’s contest, Messi has failed to score in any of his last 11 Champions League quarter-final appearances for Barcelona, since netting against PSG all the way back in April 2013. Messi will be desperate to set that record straight at Old Trafford, and the Argentinean international’s influence will almost certainly be heavily felt in Manchester this evening. Let’s take a closer look at some of the betting markets where Messi could make his presence felt. Read our comprehensive Man Utd vs Barcelona match preview for more predictions and betting tips here. 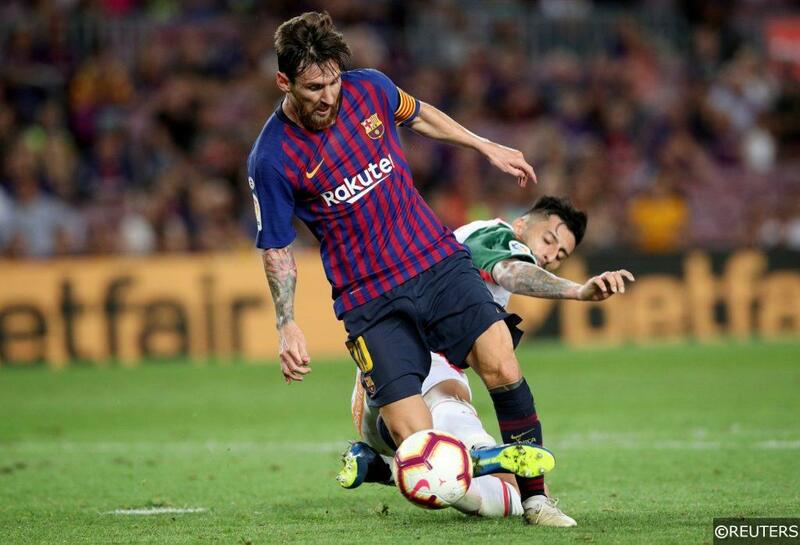 It’s unusual to see Lionel Messi priced at close to even money to score anytime in a particular fixture, though you can still grab him at 5/6 with bet365 to register any time against United tonight. With 8 goals, Messi is the Champions League’s joint top scorer this season alongside Bayern Munich’s Robert Lewandowski, and the diminutive winger will back himself to find the net against a United defence that has kept only 3 clean sheets in 8 continental contests so far this term. Messi is also available at a generous looking 15/4 with bet365 to score 2 or more goals at Old Trafford this evening. Barca’s perennial match-winner has scored 2 or more goals on an scarcely believable 30 separate occasions in the Champions League since making his debut in 2004. Messi has already scored 2 or more goals in 3 separate games in this year’s tournament. He registered twice against Lyon and Tottenham, and 3 times against PSV. Manchester United left-back Luke Shaw has had a fine individual campaign for his club this season, though the constantly improving 23-year old will face one of the biggest tests of his career tonight when he is deployed in direct opposition to Lionel Messi. 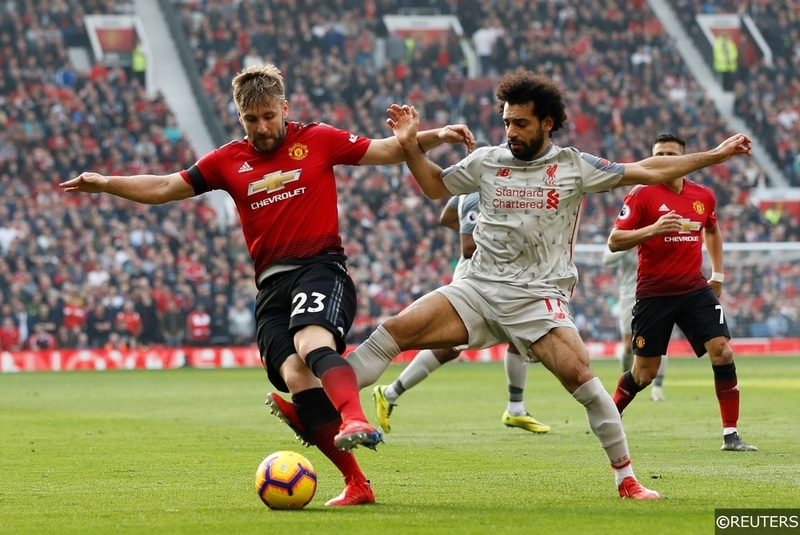 Shaw’s aggressive, on the front-foot defending has earned him plenty of plaudits in 2018/19, though his love of a strong tackle has often landed him in trouble with referees. The 8 times capped England international has been booked an incredible 12 times already this season, and against Messi’s unique ability to twist defenders into knots of legs and embarrassment, we think Shaw is a great bet at 5/4 with bet365 to be cautioned again. Messi’s lofty Champions League goal haul this season has been fuelled by the attacker’s exceptionally high shot and attempts statistics. Messi has averaged an eye-watering 6.2 attempts on goal per Champions League appearance in 2018/19 – a figure that puts him clear as the competition’s most prolific shot taker this season. When it come to accuracy, Messi is also out on his own, and 3 of his 6.2 attempts per game have hit their mark on average. You can take advantage of Messi’s ridiculous numbers by backing him at 5/4 with bet365 to have over 2.5 shots on target against United. 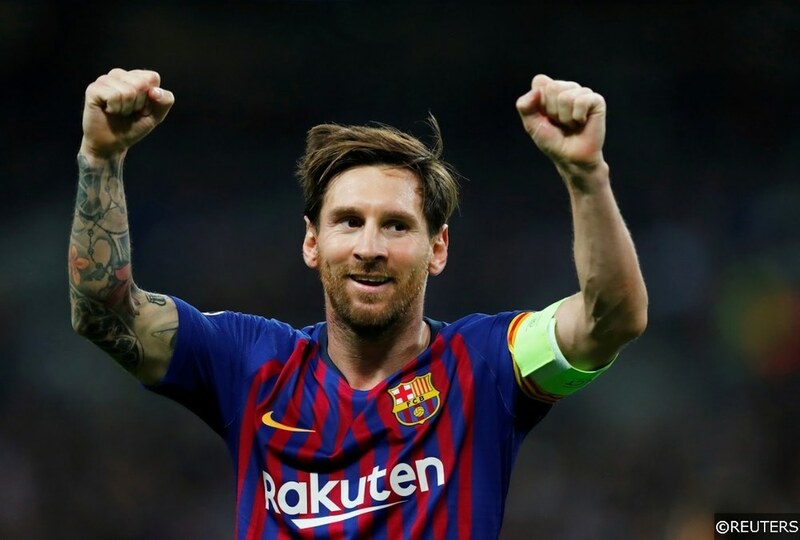 Messi is also available at 6/5 with bet365 to rack up over 5.5 attempts on goal at Old Trafford – a shots total he has passed in 5 of his 6 Champions League appearances this season. Because of his phenomenal goal-scoring output, Lionel Messi’s ability to create goals for others is sometimes overlooked and underrated. The 31-year old is Barcelona’s leading scorer in all competitions this season with 44 goals, though Messi is also the club’s leading assist provider, laying on goals for his teammates 15 times in total since August. Messi notched 3 of those assists in the Champions League, 2 of which came in Barca’s last game in the competition against Lyon. Messi is priced brilliantly at 7/4 with bet365 to put his powers of creation to good use again against United this evening. Messi is used to shouldering plenty of match-changing responsibility for Barcelona. 3 of his 8 Champions League goals this season have been deadlock breakers, and 12 of Messi’s 33 La Liga goals in 2018/19 have opened the scoring in their respective fixtures. Messi’s sense of occasion and consistent ability to provide decisive moments in the biggest games makes him a cracking bet to score first in any contest. However, if you combine that selection with a Barcelona victory at bet365, you can get extremely lucrative looking 4/1 odds. Categories: Betting Strategy, Blog, Champions League, and Football. Tags: champions league betting tips, Champions League special, Lionel Messi, and ucl tips. Team Tag: Barcelona and manchester united. League: UEFA Champions League. Sports: Football.